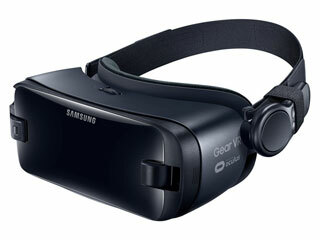 In the wake of its court victory over Oculus, Zenimax is now taking aim at Samsung's Gear VR. After winning a $500 million judgment against Oculus on various grounds, Zenimax is now expanding its legal pursuits to a suit against Samsung, specifically over its Gear VR headset. The suit was filed in the Dallas Division of the United States District Court for the Northern District of Texas, the same court that heard the Oculus case (you can read the entire court document here). The suit alleges that Oculus CTO John Carmack came up with the idea that led to the creation of Gear VR while working at id Software. According to the suit, Carmack brought Matt Hooper, who had been recently fired by Zenimax, into the id Software offices after hours, and, "left Hooper unattended, free to examine ZeniMax confidential materials, at which point Hooper went alone into offices where ZeniMax maintained and stored confidential information." Zenimax said that Carmack failed to disclose Hooper's presence, and that it only learned of the late night visit through reviewing security camera footage. Later that night, the suit says, Hooper emailed his contacts stating that he and Carmack had "formulated an 'attack plan' for the mobile VR work that they would undertake together at Oculus, and which Oculus would subsequently provide to Samsung. Zenimax claims that the Gear VR headset is built on Zenimax technology, and therefore infringes on its IP rights. The suit seeks punitive damages, a percentage of the profits earned from the sales of Gear VR, injunctive relief, and of course, court costs. It sounds like this may hinge on the outcome of the motion that Oculus has already filed seeking a new trial in the prior case. If the suit were to be successful, it could be pricey for Samsung, as it announced in January that it had already sold five million Gear VR headsets. Surely this breaks some criminal law as well? Why aren't they pressing charges? Surely this breaks some criminal law as well? Hard to imagine what. It's not trespassing if one person is an employee and the other is a guest. Breaking company policy is easily cited in civil law, but criminal law doesn't usually care. Zenimax, How are you losing money? Its not like you announced your own headset. And if you did I doubt you could use it on consoles. Zenimax said that Carmack failed to disclose Hooper's presence, and that it only learned of the late night visit through reviewing security camera footage. Can we see this footage too? I was mostly on the fence over the previous lawsuit (more so on Carmack's side given that the Google searches for how to wipe a hard drive make no goddamn sense!) but now I cannot help but feel that Zenimax are merely being litigious. I mean, what part other than it being VR did Samsung copy? Did they examine a unit and find some of their code or patents? It doesn't, if building security was lax enough to let a former employee back in to the building, then the fault is Zenimax's. And don't call me Shirley. I'm confuse. Haven't we already been through this? I'm getting a sense of deja vu here. You seriously can't cheer for Zenimax, I didn't when they went after Oculus and this time even more so because it confirms their real intentions. They don't really care about VR, they are not making VR tech and doing this is damaging an emerging industry. They only care that suing will bring them money. Disgusting. I'm not supporting this behavior and I'm not planning to buy anything from Zenimax/Bethesda in the future. Haven't we already been through this? There's a reason that legal proceedings are often referred to as wheels.